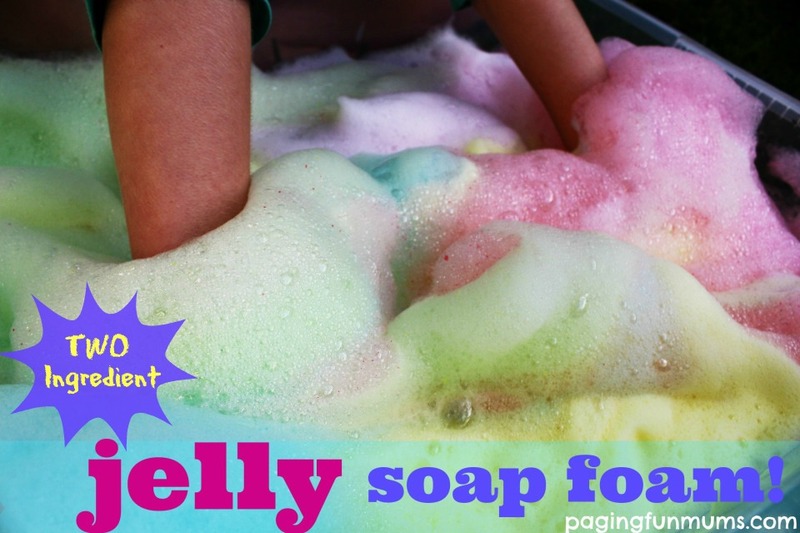 To make your own Jelly Soap Foam is an absolute breeze AND you only need two ingredients! It smells so delicious & is wonderful for some good old fashioned sensory play! 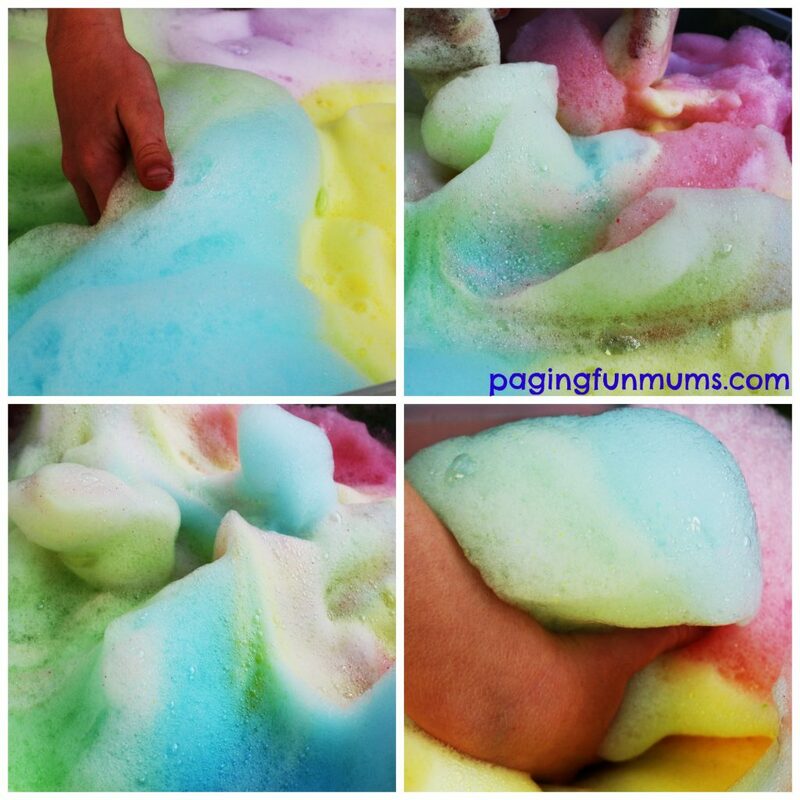 I’ve seen this beautiful soap foam done before at the wonderful Fun at Home with Kids and Learn, Play, Imagine and I’ve always wanted to try it… my kids love getting their hands into loads of sensory play! Behold my JELLY SOAP FOAM! Yes, I am excited! Pour these contents into a Food processor (you can also use beaters or if you’re super fit – an egg whisk). 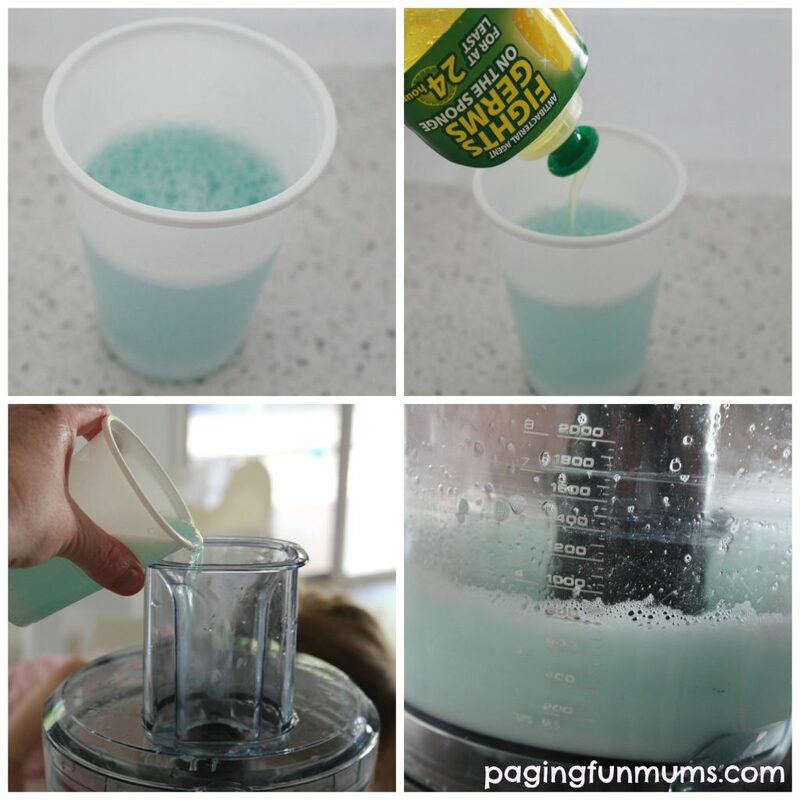 Mix until the bubbles fill to the top (approximately one minute). Where do you get the jelly crystals? I work with children who have physical disabilities and am always trying to find or think of activities for our fun Friday session, so thankyou for your very helpful idea’s. Ok what your calling jellies. …is that Jell-o for those of us from the states? Or something you would use to make jelly? Like I would find in the canning isle at the grocery store? My oldest son has a sensory disorder and I would love to try this with him! Thankyou so much for sharing! Silly question…but what are jelly crystals? Are jelly crystals the same l same as jello powder? Hi Ivory, Yes, I think they are…is that what you use to make Jelly? To clarify, since there seems to be confusion, in the states jelly is what you spread on toast, like jam, jell-o is the jiggly stuff that you mix up and let set in the fridge. She is using what we know as jell-o. but i would try it that is for sure!!!!!!!!!!!!!!!!!!!!! I so love your website! 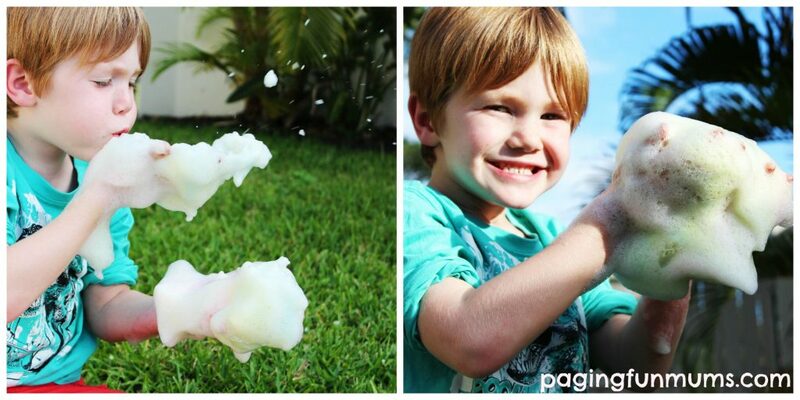 Thanks for all the fab ideas, cant wait to try this with my day are kiddo’s! That is great news! We are so happy you like what you see! I love this website is has such great ideas!! Hi, I was wondering how long it lasts foamy without playing with it, and also, does it stain clothing? How long doea a batch last? Keep its foam consistancy?